A luxurious 18ct gold collection full of drama and elegance. The Whispering Collection emulates femininity and glamour, with its sculptural yet delicate filigree detail. The pearl necklace is set with a strand of baroque pearls and 0.65ct diamond-set filigree egg. A luxurious 18ct gold collection full of drama and elegance. The Whispering Collection emulates femininity and glamour, with its sculptural yet delicate filigree detail. The large round stone ring is available in black rhodium plate set with 0.3ct white diamonds and 3ct green amethyst or 0.06ct purple amethyst. Also, available in 18ct yellow gold with 0.06ct white diamonds and 0.06ct citrine. A luxurious 18ct gold collection full of drama and elegance. The Whispering Collection emulates femininity and glamour, with its sculptural yet delicate filigree detail. The large pear stone ring is available in black rhodium plated set with 0.3ct white diamonds and 30ct green amethyst or 30ct purple amethyst. Also, available in 18ct yellow gold with 0.3ct white diamonds and 30ct citrine. A luxurious 18ct gold collection full of drama and elegance. The Whispering Collection emulates femininity and glamour, with its sculptural yet delicate filigree detail. The pearl double ring comes in black rhodium set with 0.35ct white diamonds and 7mm pearl. A luxurious 18ct gold collection full of drama and elegance. The Whispering Collection emulates femininity and glamour, with its sculptural yet delicate filigree detail. The small double ring is available in 0.15ct white diamond-set in black rhodium, 18ct white gold and 18ct yellow gold. The Allure Collection exudes timeless elegance with this bracelet. 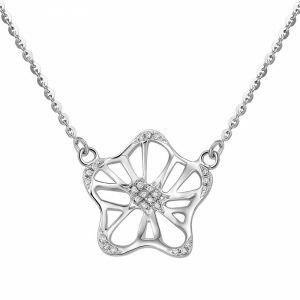 The intricate lacy details are made from 18ct white gold, set with 0.02ct white diamonds. 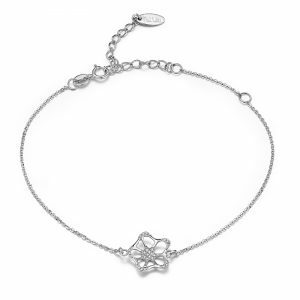 This bracelet will give those precious moments that extra sparkle.. The Allure Collection exudes timeless elegance with this medium unit pendant. 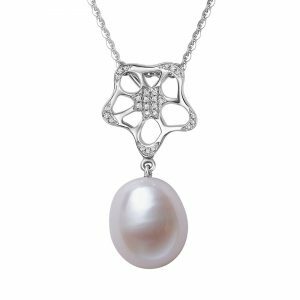 The intricate lacy details are made from 18ct white gold, set with 0.045ct white diamonds and a lustrous 8mm x 11mm freshwater pearl. 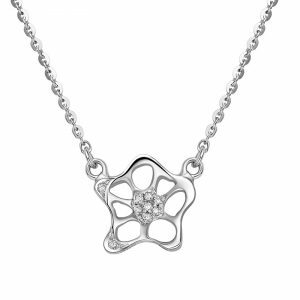 This pendant will give those precious moments that extra sparkle. The Allure Collection exudes timeless elegance with this small unit pendant. The intricate lacy details are made from 18ct white gold and set with pav_ 0.02ct white diamonds. This pendant will give those precious moments that extra sparkle. The Allure Collection exudes timeless elegance with this large unit pendant. The intricate lacy details are made from 18ct white gold and set with pavé 0.06ct white diamonds. This pendant will give those precious moments that extra sparkle. The Allure Collection exudes timeless elegance with this large tri set pendant. The intricate lacy details are made from 18ct white gold, set with a central tri set of 0.35ct white diamonds and a pav_ of 0.33ct white diamonds. 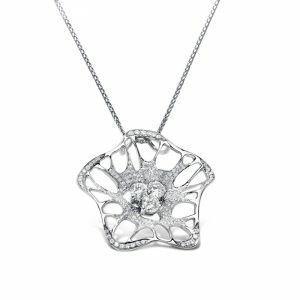 This pendant will give those precious moments that extra sparkle. 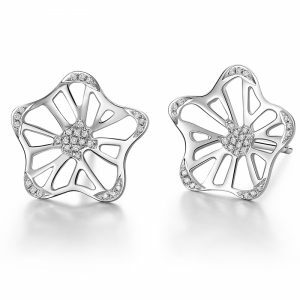 The Allure Collection exudes timeless elegance with these large unit stud earrings. 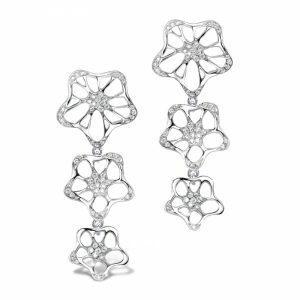 The intricate lacy details are made from 18ct white gold and set with 0.18ct white diamonds. These earrings will give those precious moments that extra sparkle. 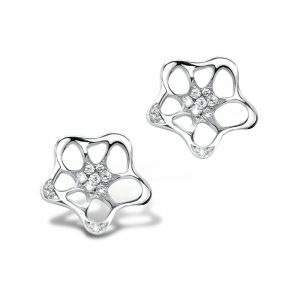 These Allure Collection exudes timeless elegance with these small unit stud earrings. 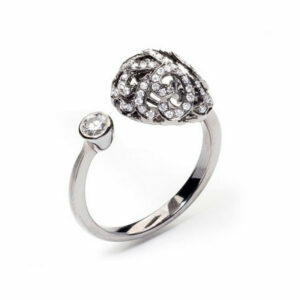 The intricate lacy details are made from 18ct white gold and set with 0.03ct white diamonds. These earrings will give those precious moments that extra sparkle. The Allure Collection exudes timeless elegance with these two part earrings, which come with the medium and small units. The intricate lacy detail is made from 18ct white gold and set with 0.13ct white diamonds. These earrings will give those precious moments that extra sparkle. These Allure Collection exudes timeless elegance with these three unit earrings. 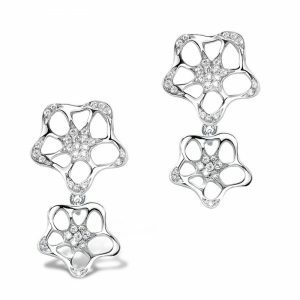 The intricate lacy details are made from 18ct white gold and set with 0.21ct white diamonds. These earrings will give those precious moments that extra sparkle. 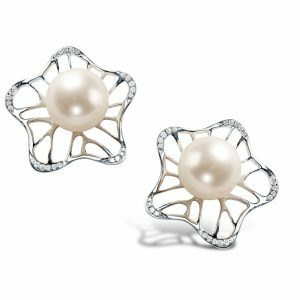 The Allure collection exudes timeless elegance with these small unit stud earrings with pearl drops. The intricate lacy detail of the stud unit is set with 0.03ct white diamonds and lustrous 7mm freshwater pearls. These earrings will give those precious moments that extra sparkle. 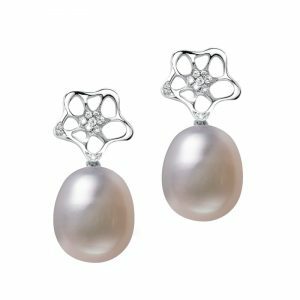 The Allure Collection exudes timeless elegance with these large pearl earrings. 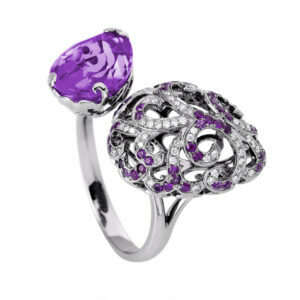 The intricate lacy detail is made from 18ct white gold, set with 0.10ct white diamonds and 9mm Japanese Akoya pearls. These earrings will give those precious moments that extra sparkle.